Before the conflict reached his village, Ali supported his family by working in farming. After so-called Islamic State arrived, things became so bad because of their brutal practices and air raids, that the family was forced to leave to find a safer area. In order to save their children’s lives, Ali and his wife moved their family out of their village and into the countryside where the camp is, a place where they can live safely. Ali said the journey there was extremely risky: ‘It was like death. We stayed for a whole month walking on our feet without having any food. We had no transportation to take us all that distance. Now things are all easier, we just lack some other materials, such as electricity, detergent and clothes. 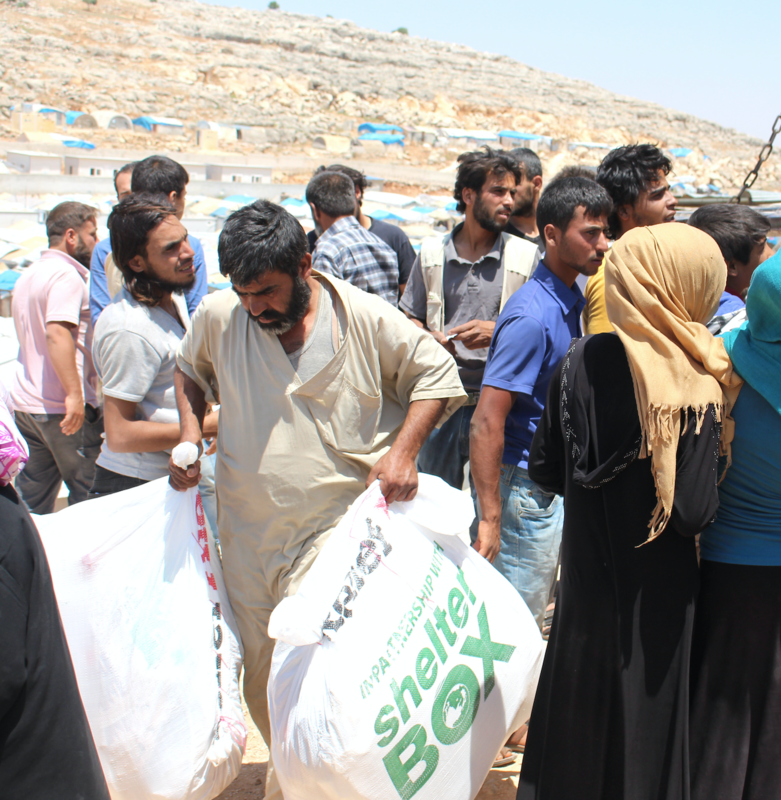 ShelterBox helps some of the world's most vulnerable people. Your gift will help us provide them with the tools they need to survive and begin rebuilding their lives.